I’m so excited that my kids are getting old enough to enjoy the holidays. This year, I’m already getting in the Easter spirit. I created these cute bunny candy jars and I’m starting to plan all the adorable treats I can make to celebrate. I decided to let my kids get on the action, so we created these DIY window clings. You guys, these are so easy to make! You only need two items, up to four if you get crazy with it. To create these DIY window clings, all you need is puffy paint and waxed paper. You can also print out some coloring sheets like I did, so you have a pattern to follow. You can also just freestyle it and create anything you like. I also opted to use paint brushes to even out the paint, but you don’t actually need puffy paint. Also, if you don’t have waxed paper in the house, you can also use plastic zip-top bags. I had no idea I’d enjoy making these DIY window clings so much. I actually spent a good hour making pretty ones to show as examples to my kids. They were really excited when they saw the bunny and the eggs I created. This was a really fun DIY craft for my kids and me to do together. It was super easy, low cost, and also a lot of fun. 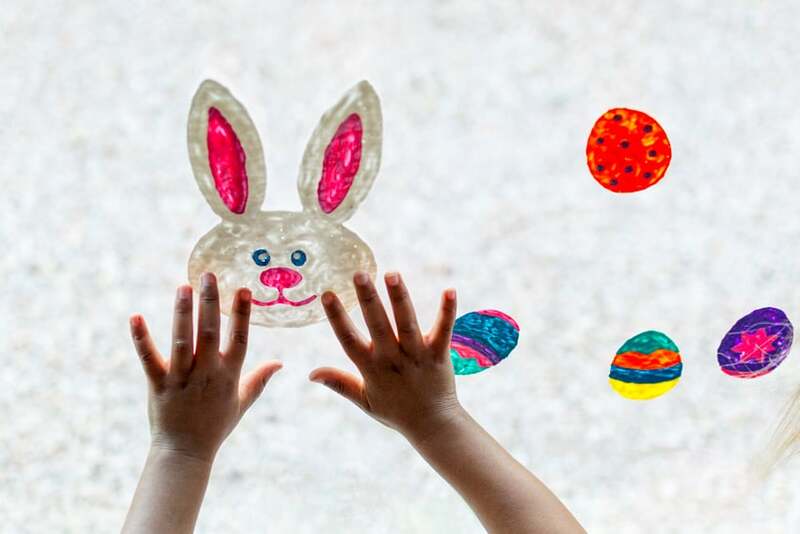 My kids are constantly bringing their artwork home with them, so it was fun to actually have something we can just stick on the window to decorate our house and we can save them to hang up next Easter too. Before we hung up the DIY window clings, I wanted to make sure the windows were as clean as possible to ensure the decals would stick. I used Windex® Original Glass Wipes. They are so convenient because you can just pull one out and go. No extra paper towels needed. 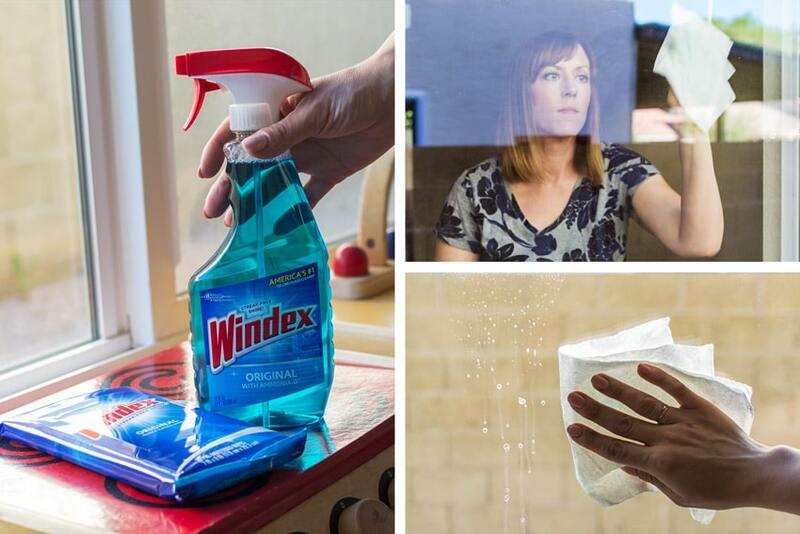 Windex® Original is America’s #1 glass cleaner because it offers a streak-free shine and works perfectly on windows, mirrors, glass shower doors, glass top stoves and more. Plus, it got rid of all the dirt and fingerprints on my windows in a snap. 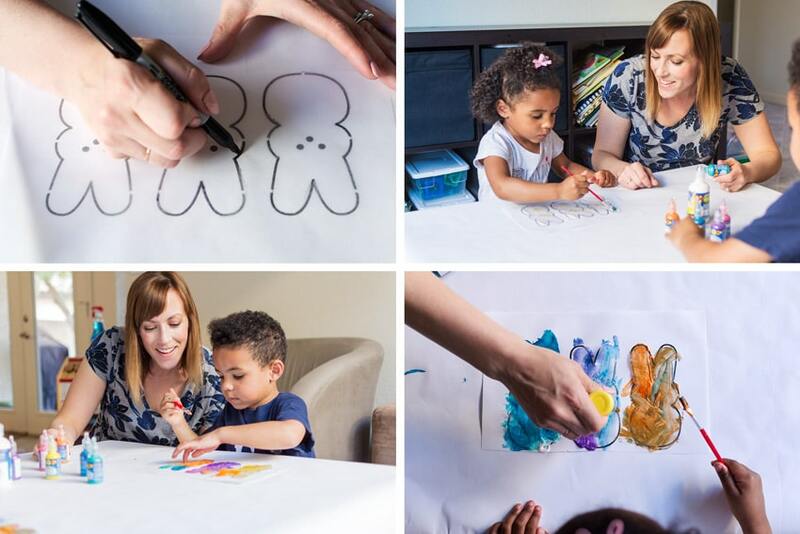 Once I had a clean surface, my kids had so much fun hanging up the window clings, and I was happy because I could use the Windex® Original Glass Wipes to get rid of all the kiddie hand prints that inevitably come with toddlers touching glass windows and doors. 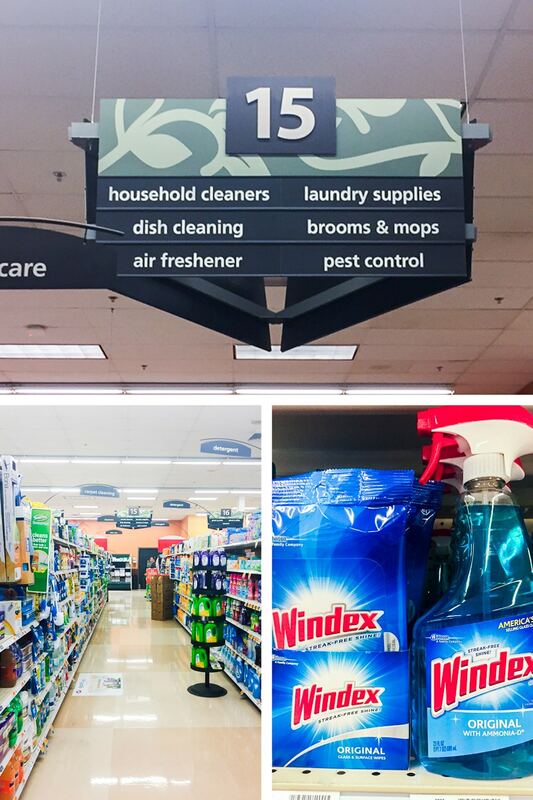 You can follow Windex® on Facebook and Twitter. 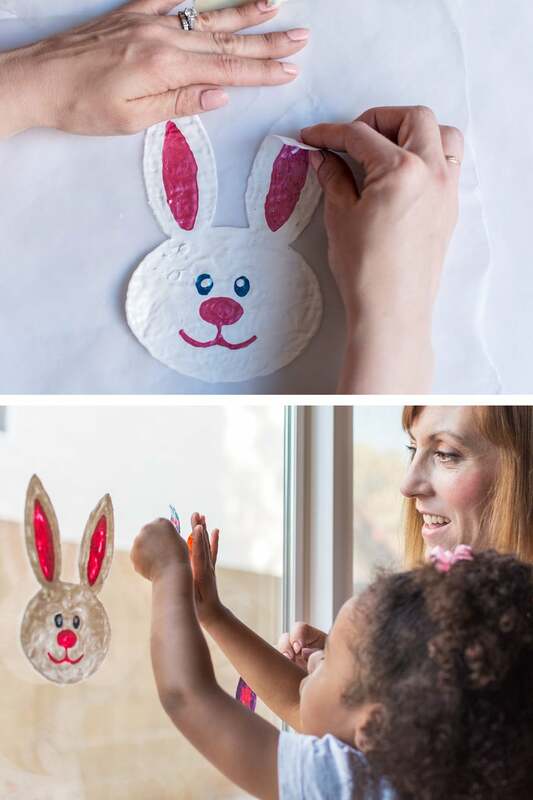 If you’d like to create your own DIY Easter window clings, I’ve included the materials and instructions below. If you have kids, I promise they would have a lot of fun with this one. Heck, I even had a great time. I found it super relaxing to paint those little colorful eggs. Happy Easter decorating! 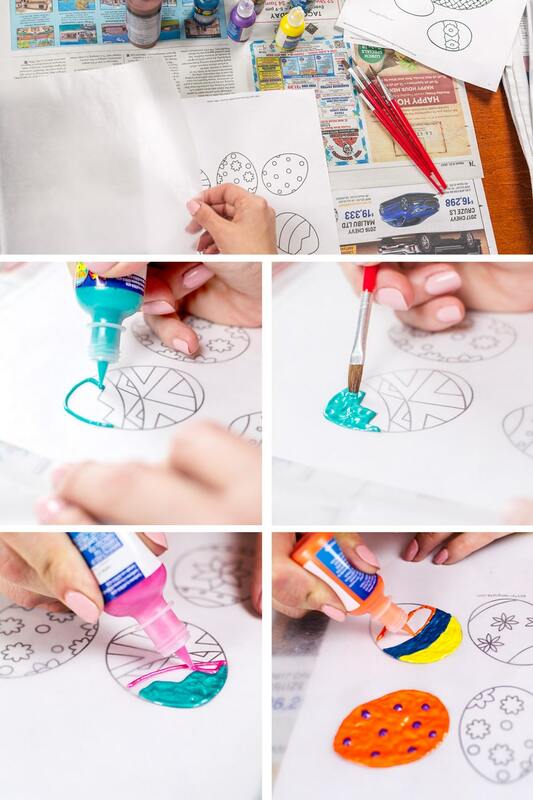 To create these DIY Easter window clings, I first printed out some black and white coloring sheets via a web search of Easter pictures. I chose eggs and a bunny. Any shapes or patterns would do. Next, I taped the picture and the waxed paper to the newspaper to ensure the waxed paper would remain in place. Once the waxed paper is secure, I painted the pictures using the various colors of puffy paint. I used a paint brush to try and smooth out the picture so it was less lumpy. Let your shapes dry completely. Once dry, carefully peel them from the waxed paper and stick them to your window. Love the idea of creating something with them. Will be trying this with the girls. Yay! Post a pic to IG! I wanna see what you all make! how durable are they? can you keep reusing them or do you throw them away? Hi Meaghan, I was able to reuse the ones I made. If they are thick enough, you should be able to reuse them. I stored them on wax paper and rolled them up to keep them safe!